This sterling silver Antique Oval Memory Pendant holds a tiny bit of cremains of someone very special. 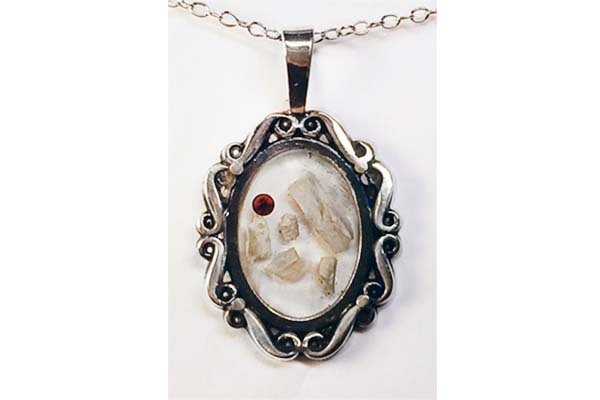 Each Memory Antique Oval Pendant holds a small bit of cremains that are sealed in place with resin enamel. Only one Memory Antique Oval Pendant is created by the artist at a time to insure that absolutely no cremains are mixed up or lost.